Manual Circular/Linear Blade Depanelizer Both large and small PCB’s can be separated in an economically viable manner by LINEAR BLADE PCB DEPANELIZERS. The PCB is laid onto the linear blade with the edge of the blade located into the scored groove in the PCB. Passing the blade across the PCB will separate it into individual units. The scored grooves can be interrupted by any number of cut-outs. 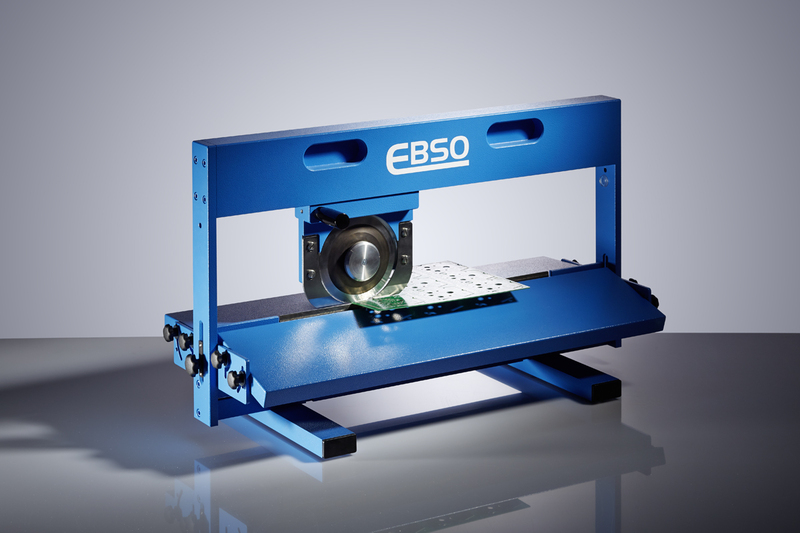 The EasyCut450 shown on the front page is hand operated.